SWGP Ltd is made up of 32 GP practices across South Warwickshire, covering Warwick, Leamington, Alcester, Shipston Southam and surrounding areas. The federation has been established to deliver enhanced services to benefit the 285,000 patients we cover, and improve working practices for our staff. 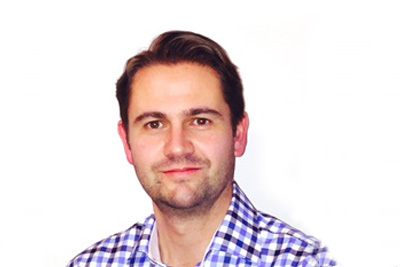 Tim has over 15 years’ experience in NHS practice management, and has taken on a number of specialist roles including executive board member for South Warwickshire Clinical Commissioning Group and specialist advisor for the Care Quality Commission. Tim is the managing director of the South Warwickshire GP Federation and responsible for the strategic direction and leadership of the organisation. Tim is passionate about the sustainable development of Primary Care; nurturing integrated models of care with secondary care, social care and third sector providers and delivering the highest quality, best value health services to the residents of South Warwickshire. Francis is a GP Principal with over 15 years senior experience in developing and managing primary care services within South Warwickshire. This has included being the chair of South Warwick Primary Care Group, Professional Executive Committee and Medical Director within the PCT. Francis was instrumental in developing Out of Hours services to support GPs opting out of their commitment. Francis is currently the Associate Medical Director for our NHS England area team, with a focus on primary care performance, appraisals and revalidation. He has developed metrics to monitor performance and quality in general practice, as well as a robust monitoring and performance system for the Area Team. During these 15 years Francis has also developed a multitude of contacts both locally and nationally within the NHS, as well as within local hospitals and local councils. Francis’s skills and contacts made him the natural choice for the role of Chairman of South Warwickshire GP. His keen focus on quality within primary care means Francis is responsible for clinical governance, enabling the federation to develop and thrive. Kim has over twenty years practice management experience in South Warwickshire. Her background includes local PCT and commercial experience, writing tenders for the procurement of “Darzi” Health Centres and supporting the implementation stage. Kim is the practice manager representative at the CCG Gateway meetings where QIPP ideas are discussed with representatives from the CCG Patient Reference Group and Arden & GEM CSU. She also undertakes training practice assessment visits on behalf of West Midlands Deanery. Kim’s role within the South Warwickshire GP Federation includes finance and Primary Care at Scale. Kim is passionate about the development of primary care and is keen to share ideas and try new ways of working, while maintaining the high quality of patient care in South Warwickshire. 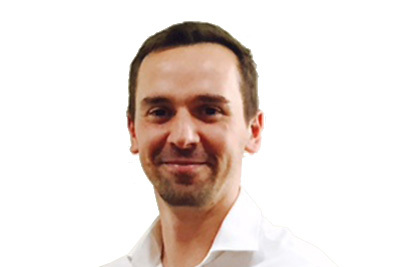 Jon has nine years practice management experience previously in Solihull and for the last six years in south Warwickshire. Jon is a non clinical Partner at Bidford Health Centre. Prior to moving into practice management, Jon worked in the commercial sector for ten years, including taking on the role of Operations Director of a limited company. This involved profit and loss responsibility and the leadership of several sites. Jon’s role within South Warwickshire GP Federation focuses on workforce and primary care at scale. This includes training & development, planning, strategy and transformation. Jon has a particular interest in leadership, workforce development, retention and is excited about effective collaborative and operationally efficient working within the federation. Mike is a full time GP partner at Warwick Gate Family Health Centre. Mike has worked in the NHS for almost 15 years in a variety of roles in hospitals, primary care and management. Before being a GP Mike was a Public Health Consultant in Warwickshire and Birmingham where he worked in communicable disease control and strategic healthcare commissioning where he led a number of significant service redesigns. Mike is committed to representing the interests of grass roots GPs in South Warwickshire to address the issues of sustainable workload, high quality patient care and working at scale across practices. Tim has been a full time partner at Bidford on Avon for 21 years. Tim is a committed GP Trainer at his training practice of 11000 patients. Tim has succeeded in the challenge of developing new premises and has been involved in the federation since its conception. Tim’s role within South Warwickshire GP includes communications and Primary Care at Scale. Tim considers the main role of the federation will be improve to the quality of life for clinicians and patients by allowing primary care to re-establish itself as a leader in integrated community-led health care delivery.